Can't forget about the man in your life, right? In fact, sometimes I think it's harder to buy gifts for the men in my life (don't get the wrong idea, I'm talking about my husband, father, and brothers) unless I get a very specific list from them. The hubby was sweet enough to send me a list of what he's hoping to get for Christmas and well, I thought it was such a great list that I had to share with you all. 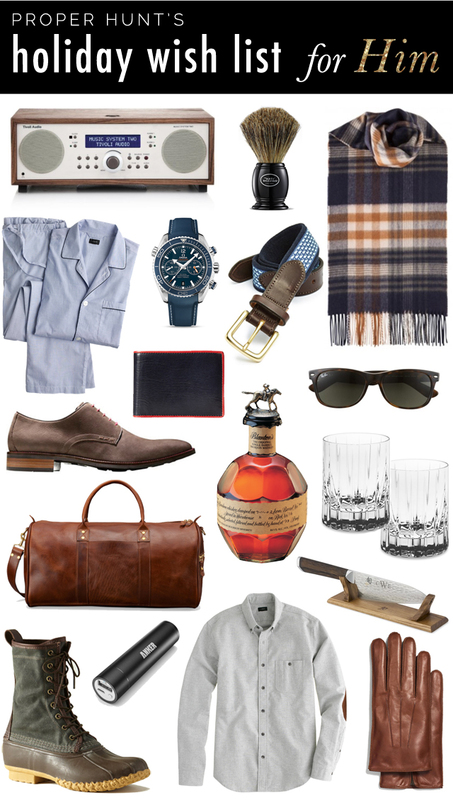 A few practical gifts here and there (we have that Anker 2nd Gen Astro Mini Lipstick-sized Portable External Battery and use it ALL the time), but a lot of great luxury items too that any guy would want to get this holiday season.